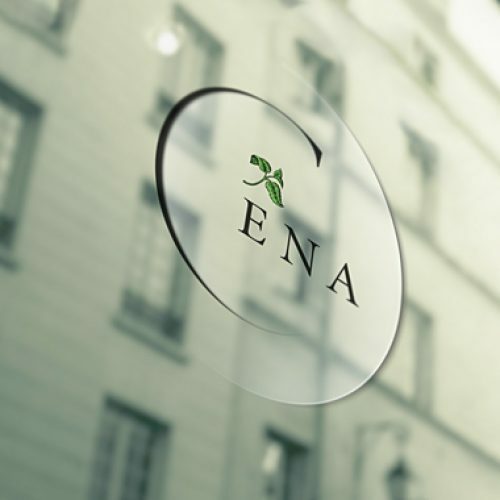 Once located in the Flatiron District of Manhattan, Cena Restaurant needed a delicate brand for their chef’s signature minimalist approach. 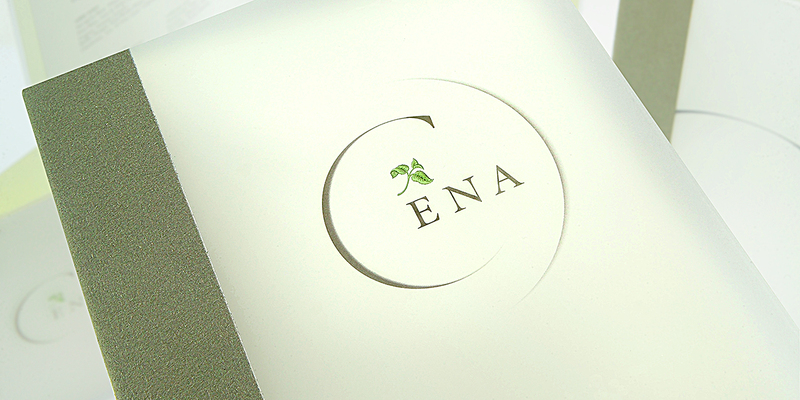 The menus are made of semi-opaque mylar with a mint paper interior bound by olive ultra-suede. The translucent quality reflects the cool synthetic interior detailing of the restaurant. 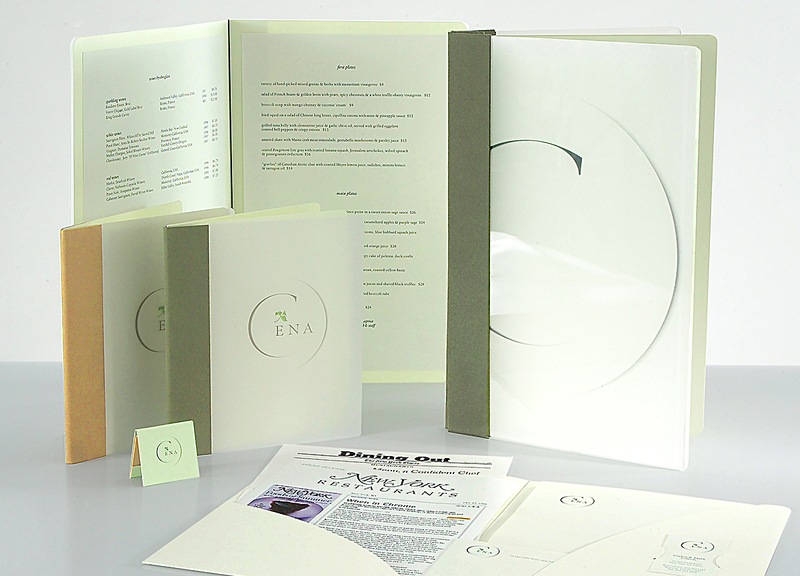 The wine list bears a thick, frosted plexiglass cover tinted by mint paper, with heavy, screw-post binding. Transparent business cards and paper-thin wooden matches wait at the front desk.